Sandals LaSource Grenada is in the race for the title of Coolest Pool of the World 2017. For its March Madness campaign, Travel Agent Central has selected 32 pools for the special competition and the winner will be featured in the May 15 issue of its magazine. In each round, two hotel pools will faceoff. The resort capturing the most votes moves on to the next round of competition. Public Relations Manager of Sandals in the Eastern Caribbean, Alex Holder, is elated that this opportunity was afforded to Sandals LaSource. He said the selected pool is a favourite of all the guests and they are proud to have it featured. 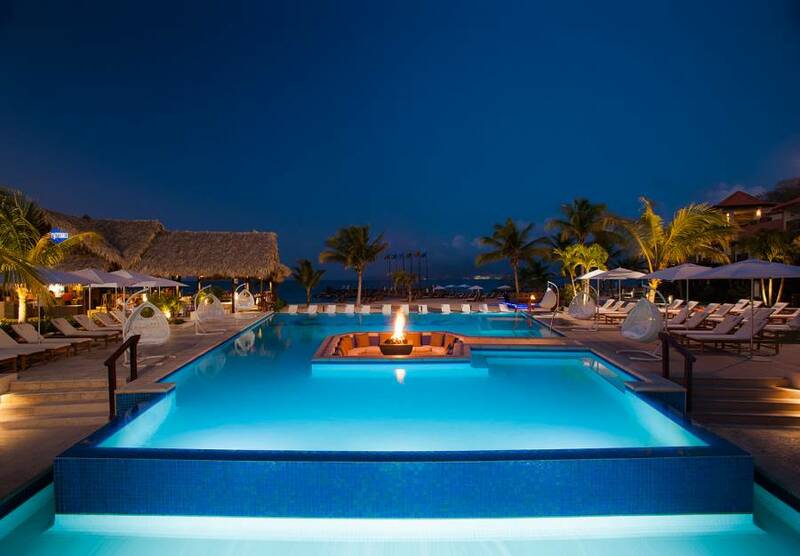 Holder highlighted the “living room in the pool concept,” which he noted is one of the pillars of the new Sandals LaSource direction that Sandals embarked on about 3 years ago. Travel Agent Magazine has been in operation for close to a century and is the travel professional’s leading resource for information. It acts as a direct channel for destinations to reach over 50,000 travel professionals. 40% of readers have booked a destination based on ads in Travel Agent Magazine while 64% recommended a destination to a client. Winning this title will gain Sandals La Source and Pure Grenada more visibility internationally. We encourage everyone to vote for Grenada by visiting the link below. Scroll down to the section where Sandals LaSource is paired against the Wynn Las Vegas; then use the polling box and click on the resort. Remember to keep voting to ensure Sandals La Source Grenada moves ahead each round. First round voting closes on Monday, 20 March.